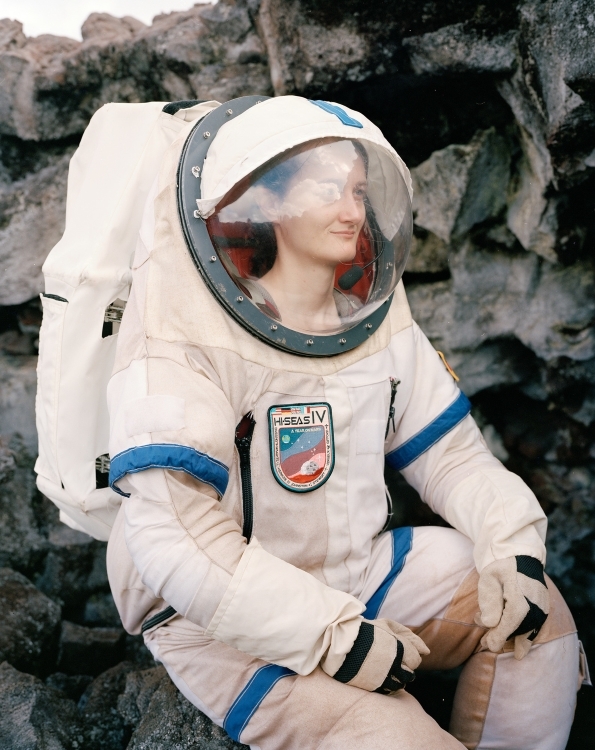 Cassandra Klos uses photography to explore other worlds and inner mysteries. 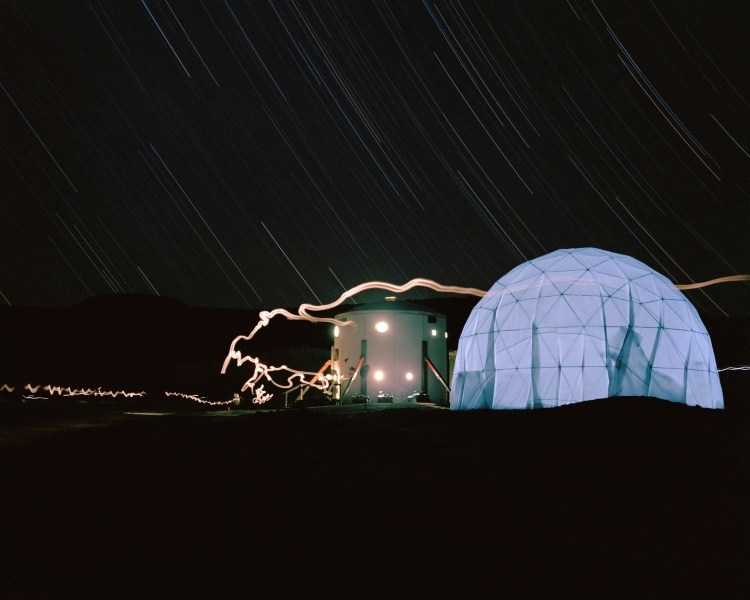 Her Mars on Earth series captures scientific simulations of the Martian landscape, and here, she discusses how her process and workspace impact her photographic expeditions. Most of my practice takes place out in the world. 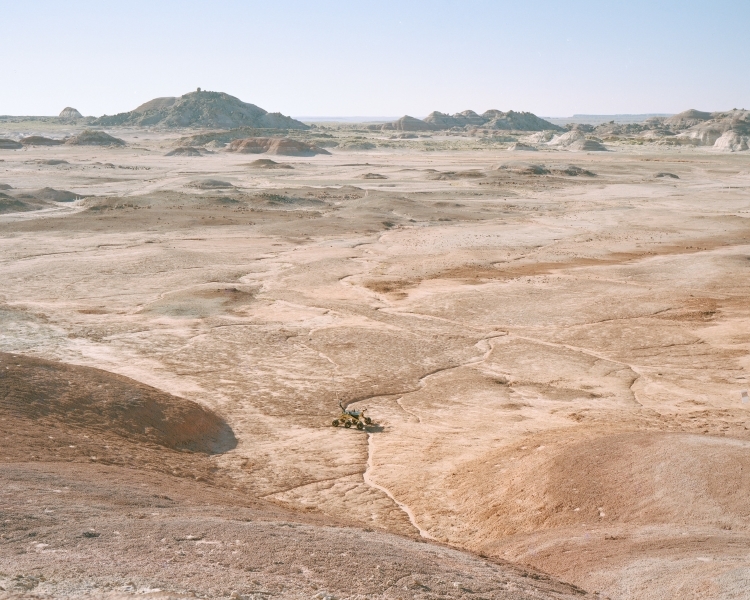 For the past three years, I have been traveling around the United States photographing Mars simulation sites. 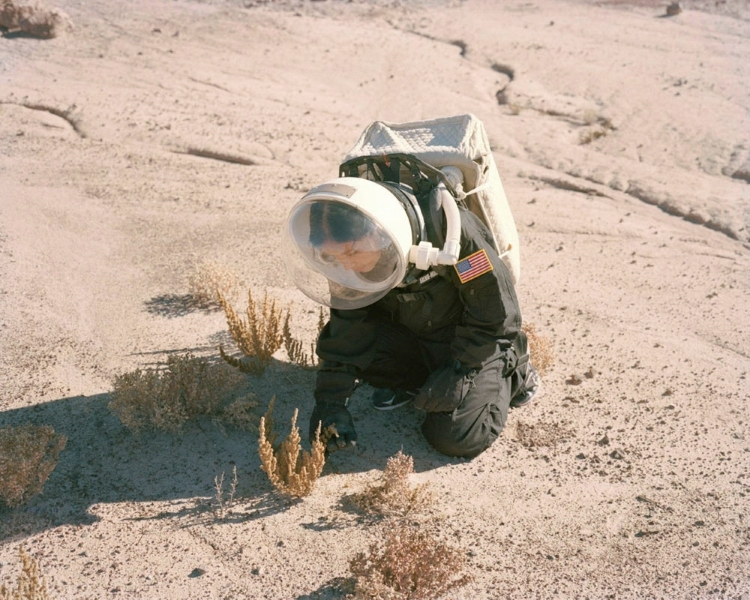 From the top of a dormant volcano on the Big Island of Hawaii to Johnson Space Center in Houston, Texas, I have attempted to immerse myself to “Mars” on Earth – and the project is named aptly so. I have met people who have dedicated months of their lives living in a pseudo spaceship, while NASA studies their every move. I have watched groups from around the globe compete in annual “Rover Challenges” – each rover having its own personality. I have visited the most unforgiving (yet beautiful) geographies in the United States. 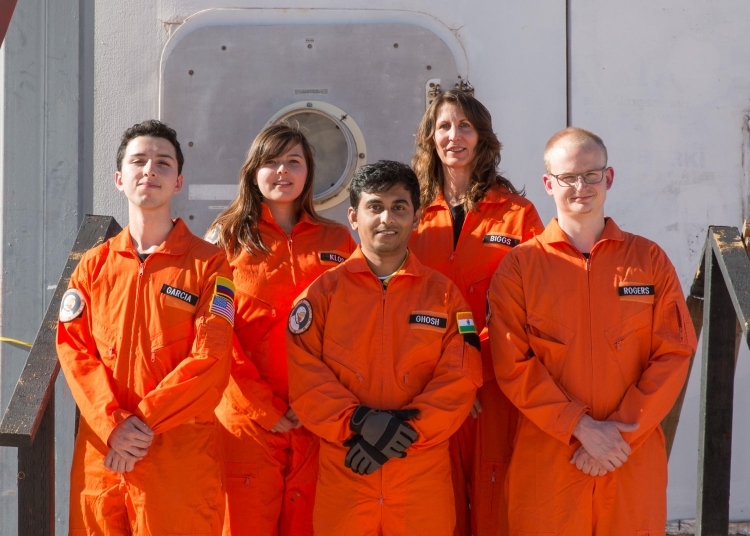 This past May, I was a commander on a two-week Mars simulation in the Utah desert – the first crew made up of artists! The purpose? To narrate the story of how we practiced to leave Earth (before we actually do) and the dedication, brainpower, and sheer ingenuity that comes along with that endeavor. Prior to Mars on Earth, I worked on recreating an alien abduction story from the 1960s entitled The Abductees. Using ephemera from the era and building my own UFO made me realize that you should never limit the project you want to explore. It also made me realized how I love intersecting art and science fiction, an interest that now flows through both projects. While I may prefer being out in the field, I’m so glad I have a place to come home and unwind. 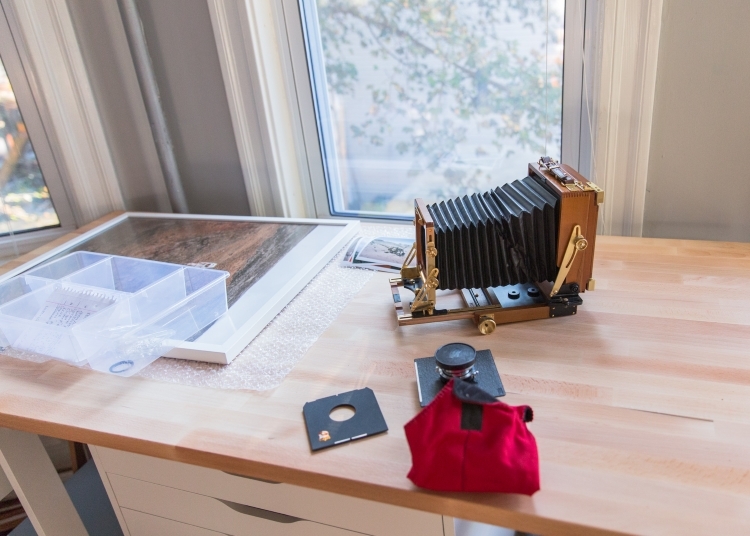 This is my first real studio which isn’t a closet or a corner nook; a room – with a working door and windows. 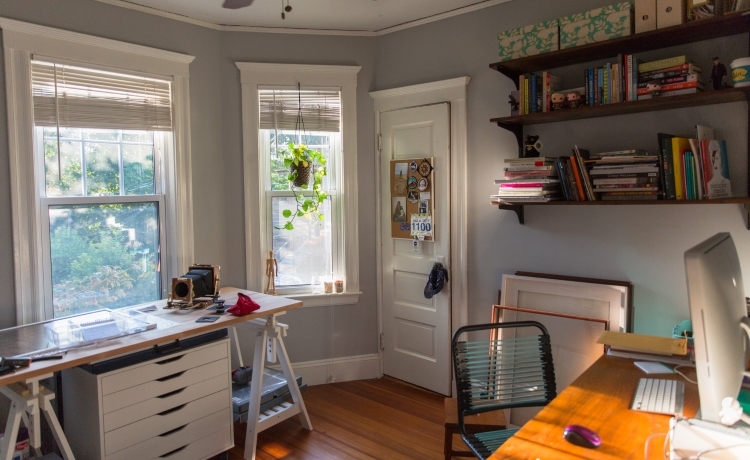 This little room lives in my Jamaica Plain apartment, and gets the best light in the afternoon. The gray walls create a peaceful atmosphere (it isn’t “middle gray” as many friends suggested to me, but it’s close). As an IKEA-holic, all of my workbench is made from their office space collections. Perfect for framing, examining negatives, or tinkering with my Wista field camera. The computer desk is the one I have had since childhood, and I can’t seem to bring myself to replace it. The closet is filled with shipping boxes and astronaut suits. I have a cork board with mini prints that help me decide the sequence of images for submissions and shows. 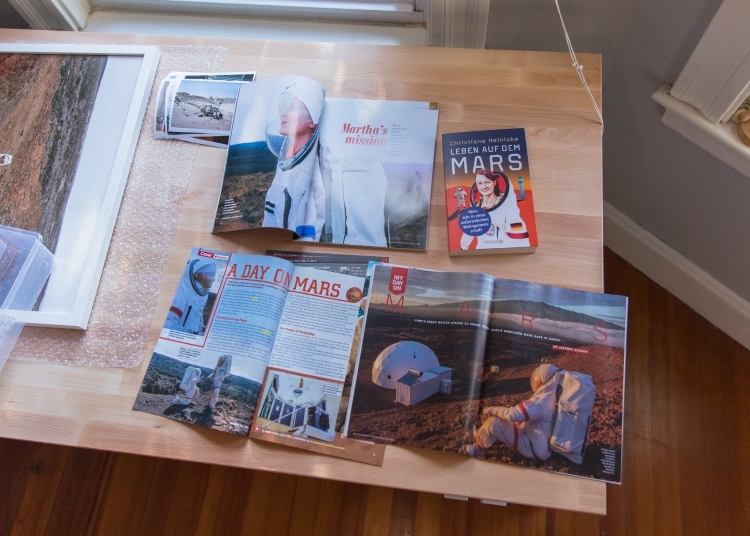 The studio is littered with trinkets that keep me motivated – from pamphlets to exhibitions I enjoyed, to an Apollo 11 mission patch, my ticket stub to the Houston Museum of Natural Science, or my USB astronaut light – a gift from my dad. The shelves are filled with my ever-growing photobook collection (I’m really into Michael Najjar’s outer space right now), zines I’ve collected from friends, and toys related to my favorite movies, TV shows, and books. My studio will never be perfectly organized, but that doesn’t bother me. It’s a place for me to organize my thoughts, find motivation and inspiration. It’s a place for me to reabsorb what I learned and saw out in the world. It’s where I stay engaged with what I want a project to be or become. It’s my happy place where I can be alone with my artwork (but sometimes it’s nice when my dog comes to visit me too). The artist will be featured in an upcoming episode of the Red Planet Podcast, discussing commanding her Mars mission. Cassandra Klos is a New England based artist whose photographs have been featured in group exhibitions across the United States and in solo exhibitions at the Griffin Museum of Photography in Winchester, Massachusetts (2016) and the Piano Craft Gallery in Boston, Massachusetts (2014). Her work has been published in the The Atlantic, The Boston Globe, TIME for Kids, and GRAND Magazine while her photojournalism reporting has been published in TIME Magazine. 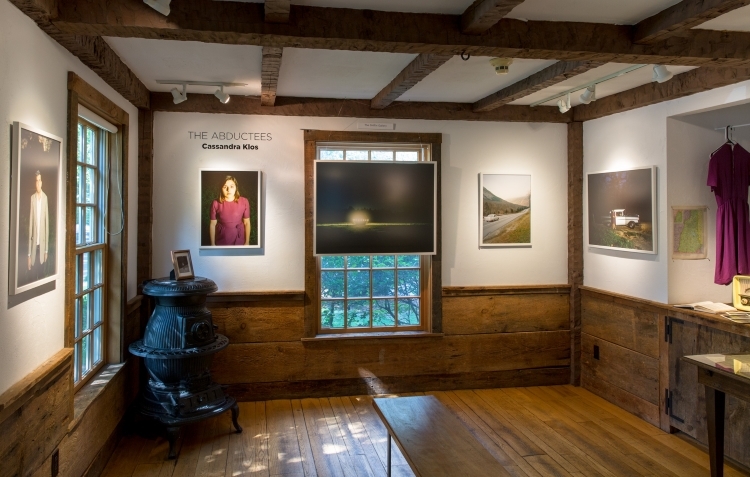 She received a Yousuf Karsh Prize in Photography, an United States Emerging Photographer Award from the Magenta Foundation, and a Traveling Fellowship from the SMFA. 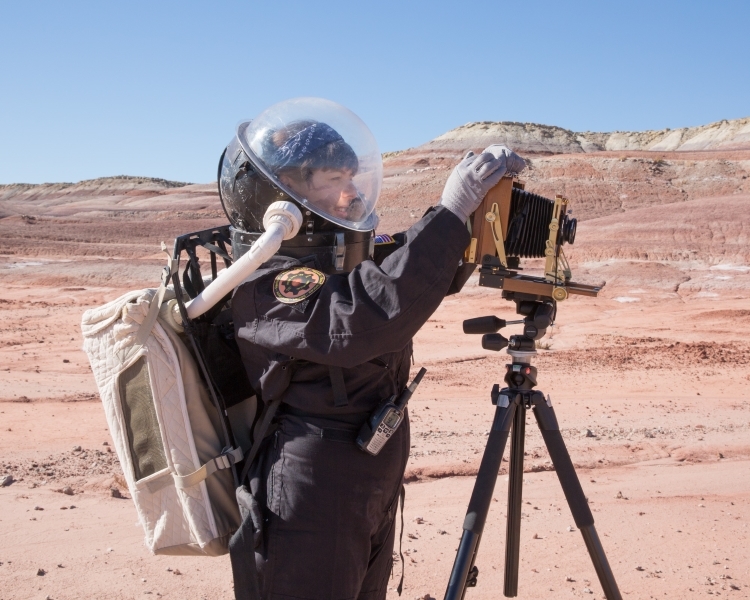 For the past two years, she has been the artist-in-residence at the Mars Desert Research Station.